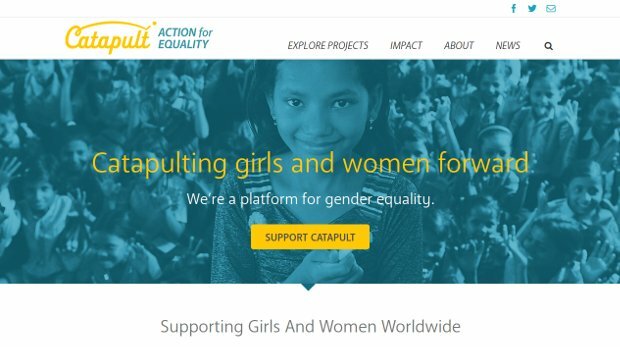 Catapult is a new way to take action for girls and women’s equality and rights. The problem they’re trying to solve is simple. The people and organizations fighting for the rights of girls and women need our support. That’s why they built Catapult – to transform individual generosity into the power of shared, collective action. Through the open democracy of the web, they can support girls and women working on the frontlines for their equal and human rights. Already, more than 400.000 girls and women were supported through their initiative. Still, they remind us that more than 500 million girls and women will be denied the opportunity to take part in the next generation’s development.